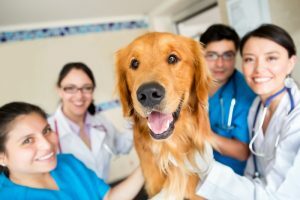 If you’re looking for a dependable and professional veterinarian in Los Angeles that offers mobile vet services, the housecall pet specialists at 911 VETS can help. As a leader in innovative animal care, our dedicated staff of licensed veterinarians is passionate about providing exceptional and comfortable care to you and your animal. We offer quality routine health care services for all pets, including physical examinations, vaccinations and effective treatment solutions for pets suffering from minor illnesses. We offer examinations, diagnostic on-site laboratory, digital X-ray and ultrasound imaging and vitals monitoring. We provide treatment, dentistry, surgery and hospitalization of non-critical patients. We provide pet transportation to and from clinics if necessary as well as delivery of food, medicines and supplies. We have a fully stocked pharmacy of medicines, parasite control, shampoos, supplements and medical supplies. We are proud of our state-of-the-art veterinary services in Los Angeles, and we’re proud to offer advanced ultrasound cancer screening services to large dogs at risk. Ultrasounds have become a safe and repeatable way to examine the inside of your pet’s body, and can be especially helpful in pinpointing chronic conditions in dogs. We offer this preventative service to the following large dog breeds: German Shepherd, Lab, Rottweiler, Doberman, Boxer, Setter, and any other adult dog over the age of 7 and 50 lbs. 911 VETS Home Pet Medical has instituted a cancer screening clinic specifically for large dogs at risk. We offer a tri-annual, quick ultrasound scan of the spleen and the liver for dogs between the ages of 7 and 14, during which surgical intervention could prevent their untimely death. For $199/year, paid in advance, we will schedule 3 yearly ultrasound cancer screenings for your beloved dog. Schedule Your Preventative Pet Exam Today!